When I was initially planning my trip to UK and Ireland, Scotland was not on the list. My main worry was that I didn’t have enough time to visit Scotland. But then my friend in the UK sealed it for me. She was like I want to visit the Isle of Skye when you are here and let us go for a road trip around Scotland. 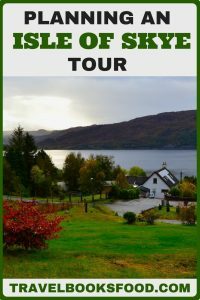 With a lot of help from her, my travel blogger friends and folks from Visit Scotland, we were able to plan our own Isle of Skye tour during our Scotland itinerary. 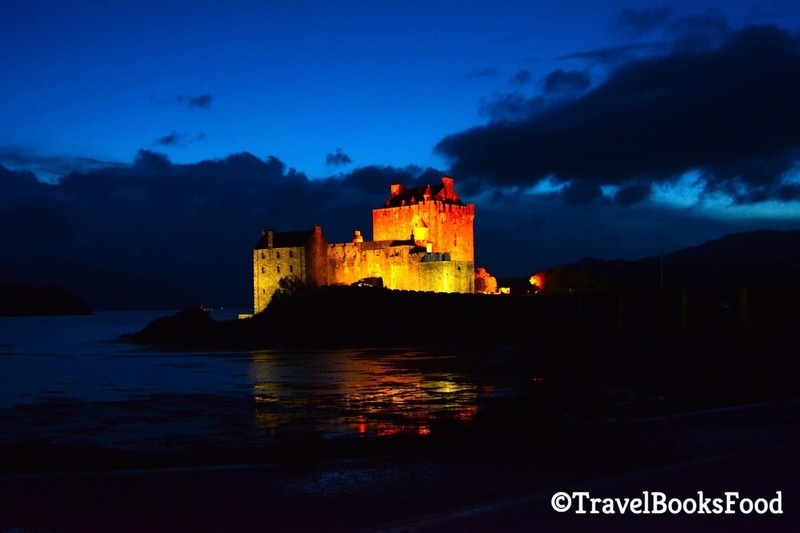 Don’t want to plan your own Isle of Skye tour while planning a trip to Scotland? I am also listing out alternate options if you don’t want to plan your own Isle of Skye itinerary. 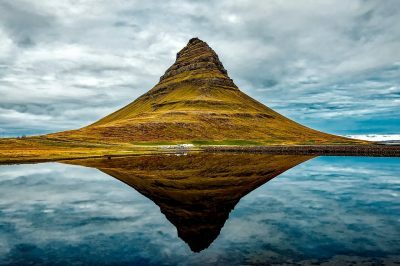 1.1 Where is Isle of Skye in Scotland? 1.4 Isle of Skye Accommodation/ Where to stay on the Isle of Skye? 1.7 When is the best time to visit the Isle of Skye? So to avoid confusion, let us first find out where exactly the Isle of Skye is in Scotland for people like me who were bad at Geography in school. Where is Isle of Skye in Scotland? Isle of Skye or Skye as it is popularly known as is the largest and northernmost islands of the Inner Hebrides of Scotland. The Inner Hebrides is an archipelago off the west coast of mainland Scotland. I am hoping that most of you know where Scotland is. But the Isle of Skye is one of the most popular places in Scotland and it is rightfully so. It is one of the most stunning natural places I went to last year and I have not even heard of a single person who has been there and not fallen in love with the place. Scotland definitely has a lot more to offer but don’t shy away from going to the Isle of Skye just because it is a popular place. We were flying into Edinburgh from London and our plan was to drive around Scotland using Edinburg as the start and end point of our trip. Your other option would be to use Glasgow as your starting point when you are exploring Scotland. Edinburgh and Glasgow are approximately the same distance from the Isle of Skye. Inverness is another option to fly into from as well. I had booked a Hertz car and it was only 35 pounds in total for renting the car for three days without insurance. By adding insurance and a GPS system, we had to pay around 90 Pounds in total for three days. You must be wondering ‘Do I need insurance to drive around in Scotland’? Even though I didn’t end up using insurance while driving the Ring of Kerry in Ireland or driving in Scotland, it was so much easier on the heart knowing that I had insurance. I saw so many banged up cars in my three weeks in Europe this time and I was glad that I decided to go for insurance. Your next question must be “Do I really need a GPS system while driving around the Isle of Skye”? This is the most crucial thing you will need in Scotland and I will definitely insist on you getting a GPS system. Your phone networks are practically useless on the road once you leave Edinburgh or Glasgow and you can thank me later for this tip. Can I drive in Scotland with an Indian driving license? My UK and Ireland visa came at the last moment and hence I did not have time this time to renew my International driving permit. You are allowed to drive in Scotland with your Indian license as long as it is in English. We spent another 50 – 60 Pounds for fuel. Most car rentals in the UK have a full tank policy. That means that they give you a full tank of fuel and you are expected to return the car with a full tank. On our last day in Scotland, we did fill a full tank in Fort William but by the time we reached Edinburgh, it only had a little over half a tank of fuel left. When we went to drop the car at the airport, the guy who was collecting the car advised us to return the car with a full gallon of gas. Apparently, they charge you three times the cost of fuel at the airport. So for e.g, you returned the car with a deficiency of 10 litres. Then they will charge you 10*3*1.15 (price of one litre of diesel in the UK) = 34.5 pounds instead of the actual cost 11.5 pounds. So we rushed to fill diesel at a nearby fuel station and almost ended up missing our flight back to London. The road system is similar to India and they drive on the left side of the road. Be prepared to see no other cars while driving around the Isle of Skye and other parts of Scotland. We ended up driving during the night and there were lots of instances when we didn’t see any other car for a really long time. Cut to the Scotland sequences in Skyfall and you can imagine what I am talking about. They do have some interesting road signs in Scotland and it was fun trying to interpret what each of them meant. We went during the last week of September which meant that it was the beginning of Autumn there. It was insanely gorgeous and we had to keep stopping to click photos every now and then. Which meant that we took much longer than what we were supposed to but I have no regrets about it. We got a KIA hatchback for our rental and it was the perfect car to go road tripping in Scotland. I made a tiny video about our road trip around Scotland and you can find it below. Tip 1: Get yourself a GPS system for your car while driving around the Isle of Skye. Tip 2: Always return your rental with a full gallon of gas. Else, they can charge you unnecessarily. When we were checking out our options on getting from Edinburg to the Isle of Skye, we found two driving routes and both said that it will take approximately 5-6 hours without breaks. But we wanted to stop on the way at some of the well-known spots, so we knew we would take longer than that. That is why we decided to find a place to stay close to Kyle of Lochalsh on our first night in Scotland. This was an hour away from the Isle of Skye. We took the Edinburgh – > Loch Lomond -> Glencoe Valley -> Fort William -> Kyle of Lochalsh route. You also have an option to go via Loch Ness and Inverness to the Isle of Skye. 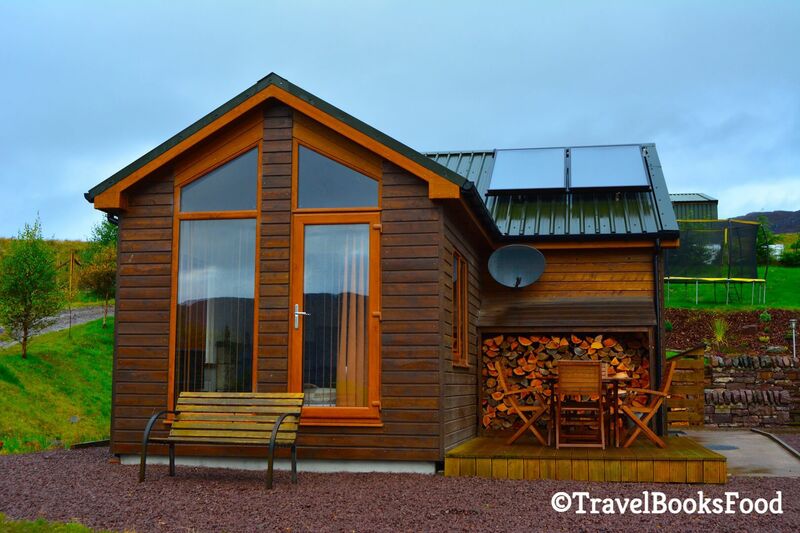 Isle of Skye Accommodation/ Where to stay on the Isle of Skye? This was one of the hardest things to figure out when we were in Scotland. Since the booking for Scotland happened at almost the last minute, we were not left with many options when it came to accommodation. Also, since the entire region is kind of entirely remote, it is difficult to decide which village to stay in if you are not familiar with the area. Your best bet is finding a good B&B (vacation rental) or Airbnb in some of the villages listed below. There are many good bed and breakfast options on the Isle of Skye. Like I mentioned, Kyle of Lochalsh is an hour away from the Isle of Skye. We were staying around 30 minutes away from this place since we knew we wouldn’t reach Isle of Skye on time. We ended up staying in a cute chalet with a gorgeous view. The view in the morning was just phenomenal and I am glad that we chose this place when we were on the Isle of Skye. Check out latest prices and reviews for Kyle of Lochalsh, Scotland below. Portree is the largest town in Isle of Skye, Scotland. Ideally, most people tend to explore around Skye from here. But we did not have the luxury since we didn’t have enough time. Check out latest prices and reviews for Portree, Scotland below. Fort William is around 2.5 hours away from Portree. So it is strategically placed between Isle of Skye and Edinburgh. 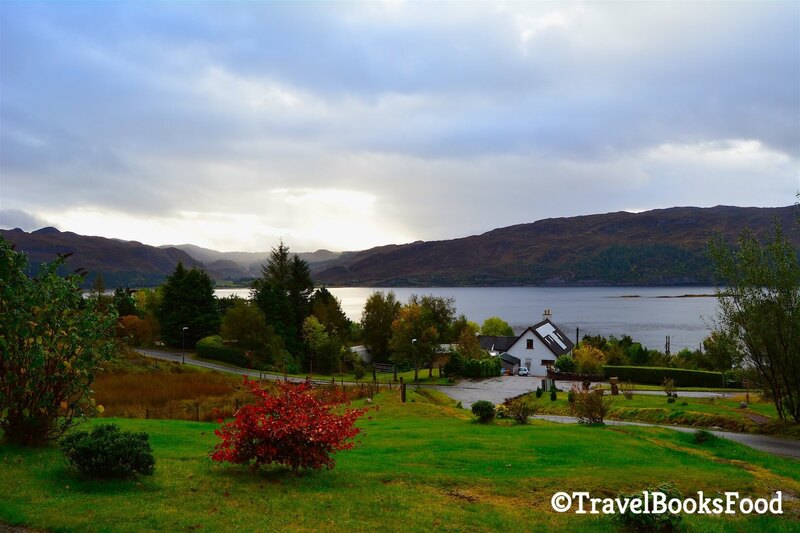 It is the second largest settlement in the Scottish Highlands. If you are looking to stay in some fancy hotels, then this would be an ideal place to stay in during your Isle of Skye tour. 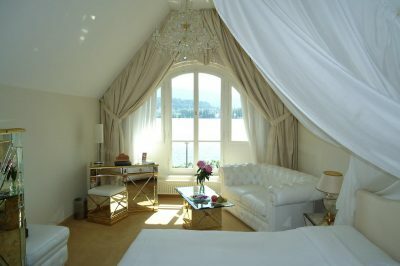 Check out latest prices and reviews for Fort William, Scotland below. Applecross was one of the villages suggested by one of my travel blogger friends. But please note that this is actually on the NC 500 and ideally suited if you want to explore both Isle of Skye and NC 500. 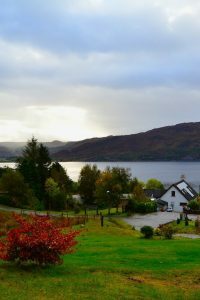 Check out latest prices and reviews for AppleCross, Scotland below. We couldn’t do all the ones below because of an idiot who was with me on the trip and who ended up wasting a lot of time taking Instagram shots. Lesson learnt: Never travelling with someone I don’t know. But these are some of the places you have to visit during your Isle of Skye Day tour. This bridge connects the mainland to the Isle of Skye. The view of the bridge is really phenomenal from Kyleakin. Also, there are many small vantage points along the way from where you can get a good view of the bridge. We had our breakfast here and it is just opposite Kyle of Lochalsh along the strait of Kyle Akin. You can also find the ruined castle of Caisteal Maol here. The road between Kyleakin and Portree is again full of so many gorgeous waterfalls and endless landscapes. You will feel like stopping at every point but it is definitely not feasible to stop everywhere on the way. 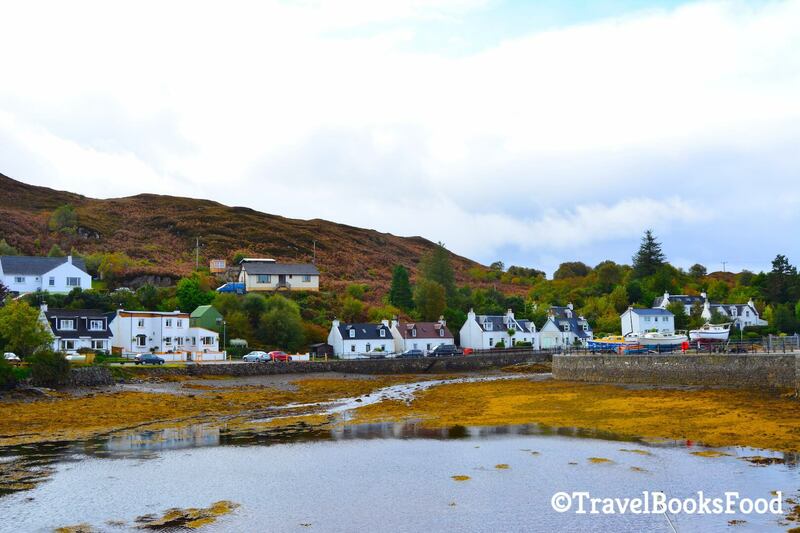 Portree is the largest settlement in the Isle of Skye and it is a picturesque one too. You can look for options to stay on the isle here as well. If you are looking for a good hike, then the Old man of Storr is the perfect hike here. It is a large pinnacle of rock on the island. We were too lazy to climb to the top and we didn’t have enough time as well. We only made it to half the way up and had to return back. It is a steep one. It is not that hard a hike but none of us were wearing proper shoes as well. The view from up there is definitely gorgeous. All this is part of the Trotternish ridge. It is difficult to get parking here and it is suggested that you try to reach here really early in the morning. Another gorgeous viewpoint on the Isle. The cliffs here are supposed to look like a pleated Kilt and the gorgeous waterfall here is another reason to stop here. The second most popular spot after the Old man of Storr and it is full of fantastic rock formations. The Needle, the Table and the Prison are the most famous of the rock formations. You can definitely park your car up there and then walk to see any of these rock formations. We did end of going to the harbour but there were no options to stop. Hence we had to continue on our way. This village is home to the Dunvegan castle, a fortified castle since the 13th century. One of the famous lighthouses in Scotland and you can find this spot on every postcard from the Isle of Skye. If you do get a chance to go here, make sure that you stay back for the sunset. If you are lazy like us to make the walk all the way here, it is okay. The view from the path is quite gorgeous too. This is one place I wish we hadn’t missed. You can find the Fairy Pools here. Even though we knew we wanted to visit the Fairy Pools, that option was not coming on the GPS. Our phone networks were not working and we couldn’t figure out that we were supposed to put ‘Glen Brittle’ in the GPS at that point of time. Definitely, want to go back just to see the Fairy Pools. This gorgeous castle is around 10-20 minutes from the Skye bridge. We saw this at night and in the day too. Personally, I preferred it in the night. I am definitely going to write more about this soon. But till then, check out this excellent guide to travelling vegan in Scotland by my friend, Kathi. When is the best time to visit the Isle of Skye? 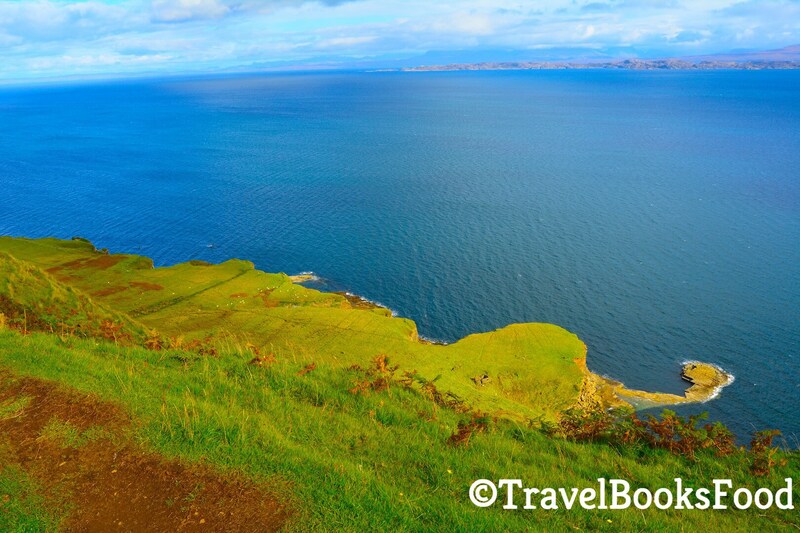 Since Scotland has unpredictable weather, it is really difficult to say when is the best time to visit the Isle of Skye. We went during Autumn and we loved our time there. It rained only for a few hours on the last day. It was a bit too windy in October but I would definitely take wind over rain any day. Sometimes, you do not have an option to drive around the Isle of Skye. Either you are travelling solo or you do not know how to drive or maybe you have some other obstacle. In this case, what do you do? There are many awesome Isle of Skye guided tours available and you can choose from one of the below-listed ones. I would still prefer planning my own Isle of Skye tour. It is a gorgeous place and a place not to be missed when you are in Scotland. it looks like you had an amazing road trip around Scotland. It’s such a beautiful country. We only spent a week there and really want to go back for more exploring. We’ll have to keep an eye out for fairy pools next time as well. That coastline with the waterfall coming off it is just incredible. I have my flight to London already booked and we are planning to rent a car and drive through England and Scotland including a visit of the Isle of Skye and also Fort William. I had no idea the car rental was so cheap. For 3 days only 90 pounds seems very cheap. Thanks for all the info I will use it as inspiration for my upcoming trip. I think a lot of your tips are helpful for Indian travellers – such as not needing an international driving license and getting a car rental on your Indian license (as far as I know, this isn’t very common) and also about where to get vegetarian food options. I’ve always wanted to visit Isle of Skye and Scotland in general, it looks gorgeous from pictures. I’ve been to the UK but on my trip, I didn’t have enough time to visit Scotland (I did manage to visit Wales) so I am sure I’ll have to make another trip for that! Love all the detail!! The Isle of Skye looks amazing, it has been on my list for awhile. I agree, I’d much rather do my own tour than book one–and 90 pounds for three days of a rental car isn’t bad at all! Nice that that figure includes the GPS, too–as you mentioned, that’s practically a requirement up there! Lol. Thanks for sharing – beautiful photographs. Skye is without a doubt my favourite place in Scotland and this brought back amazing memories. Totally agree with a Sat Nav being a necessity – signal is almost impossible to find! 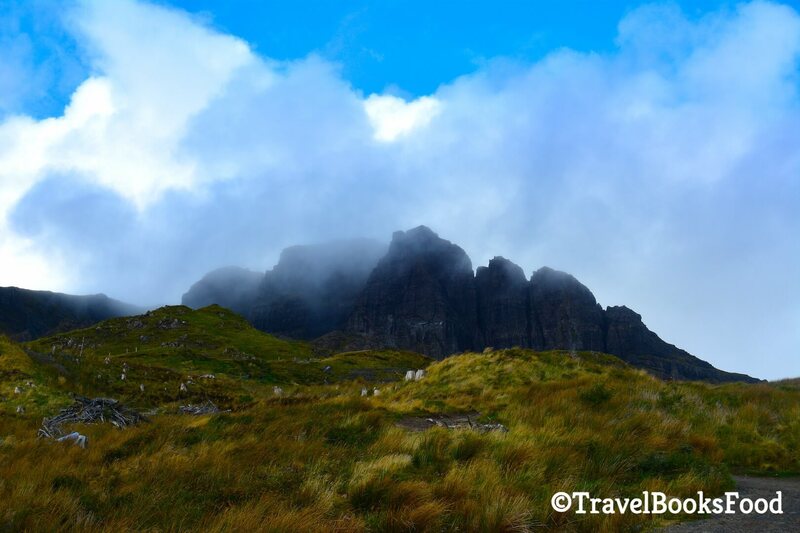 I have heard so many good things about Isle of skye and your post just comfirm it even more! There are so much more things to see than I thought and I guess if I ever get the chance to visit Isle of skye I hope to have enough time. 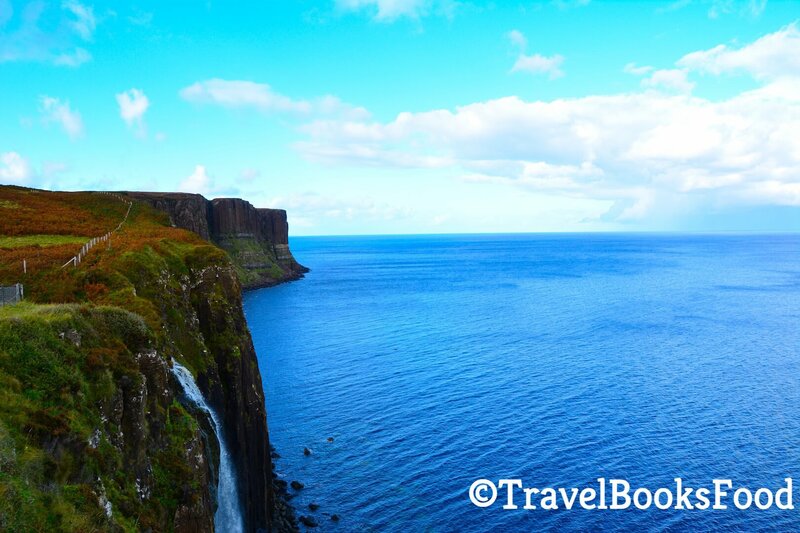 We love to hike and chasing waterfalls so Isle of skye seems to be a perfect destination for us. And yes, insurance is the most important because one can never know when an accident occur! Better be safe than sorry after when you see the bills! This is such a thorough post!! I wish I’d read it before going to Skye a couple months ago! I stayed at Uig and did all of my driving from there. I was right next to the Fairy Glen– so cool! Planning out our own trips turns out to be good most of the times. Glad you could plan everything in a short time . Will keep handy for my Scottish trip🙂. Yes, like you said, that insurance is already included in the tariff. But it doesn’t cover many things. I took an additional insurance for the ones which are usually not covered by default. so utterly beautiful and a dream of mine to visit here. Hopefully this year I will make it across the water to see it for myself. Who needs a guided tour when you have all the best tips and best photos so I know what to look for. When we travel, we go to typical places, but this I have never heard off. And it’s intriguing. I am absolutely putting this on my list. Thanks for sharing!! Scotland is one of my favourite destinations in the whole world. I have been there twice in different seasons. And, like you said, I hardly saw any cars while driving around the Isle of Skye and other parts of Scotland. I would love to go back to see how much it has changed. We missed Isle of Skye on our previous road trip in Scotland. It looks so beautiful and your post makes me want to go back and experience it. I love all he details and pictures. Can’t wait to go check it out! A brilliant selection of sights in Skye. You have made me aware of just how much there is to see, so I won’t make this a short trip when I go. I live in the Scottish Borders but have been put off going on account of the infamous midgie. Your article has inspired me to brave it and enjoy. Thanks, Chris. How difficult and tiring is the driving? I loved driving in Scotland. You won’t see other cars for miles which is a plus point for Indians like us. I would definitely select option 1.